Here at CrossPoint, we are blessed to be able to praise God using choirs, praise teams, bands, media, and drama. The leader of these and several other ministries is Bryan Haskins, the Minister of Worship and Media. Here we have listed and described most of the music and media related ministries you can become involved in using the various gifts and talents with which God has blessed you with. To get involved in these ministries contact Bryan at bhaskins@crosspointchurch.info. A ministry that accepts adults 21 years or older that want to make a joyful noise unto the Lord. We are a choir of believers that lead the congregation into praise and worship for the glory of God every month. There is no audition required for this group of believers. Rehearsal times are every Wednesday from 6:30 PM – 8:00 PM in the Adult Education Bldg, main level. A unified group of spiritually and skillfully trained musicians that come together weekly to uplift the name of Jesus and bring glory to Him alone. This is an auditioned group of musicians that rehearse weekly at 6:00 PM on Tuesdays here at the church. 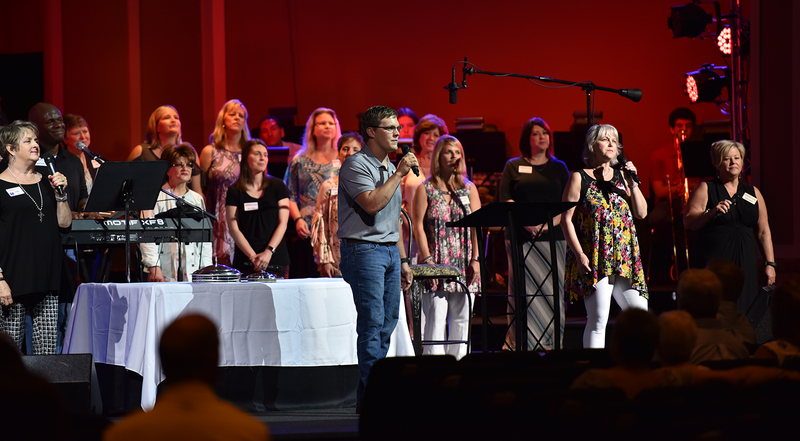 Our Praise Teams at CrossPoint are a group of auditioned singers who serve as ignitors of worship for the congregation. They are to always be ready to make a joyful noise unto the Lord and praise God with their whole being. We rehearse once a week at 8:00 PM on Wednesdays immediately following Adult Choir Rehearsal here at the church. We sing everything from Contemporary, Moderate and traditional songs of the church. Children’s choir is designed for children grades1-5 who are eager to learn cool songs, be challenged musically, and spread the Gospel Message of Christ. We rehearse seasonally for Easter, Christmas, and for Vacation Bible School. Rehearsals are at 6:30 PM on Wednesdays here at the Church during the spring semester. Preschool Choir is offered to children 3-5 years of age. We rehearse seasonally for Easter, Christmas, and Vacation Bible School. Rehearsals are at 6:30 PM on Wednesdays here at the Church during the spring semester.